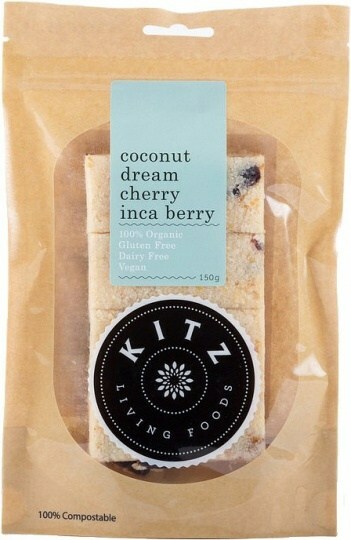 Kitz make their Coconut Dream bars by mixing shredded organic coconut meat with sweet brown rice syrup, Washington State cherries, and tart inca berries, then gently drying everything at low temperatures to get the perfect chewy texture to go with the deliciously tangy taste. Firm enough to eat as a snack out of the resealable bag, the bars are also soft enough to make a wonderful naturally sweet topping for cereal, granola, muesli, porridge and even ice cream. 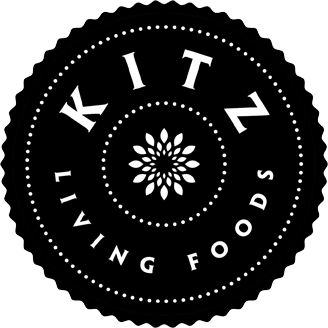 They contain no added salt, and no cane sugar, dairy, eggs, gluten, peanuts, sesame, soy, wheat or yeast whatsoever.